“Mr. Threadgill, 65, has long been one of the most thrillingly elusive composers in and around the jazz idiom: a sly maestro of unconventional timbres, bristling counterpoint and tough but slippery rhythms… He’s an amazing jazz musician, and at the same time, when you listen to his writing, it could sound like one of the American masters. NPR’s All Things Considered profiles Henry. “This Brings Us To lunges at the listener with enigmatic twists and Threadgill’s unmistakable wailing alto sound. 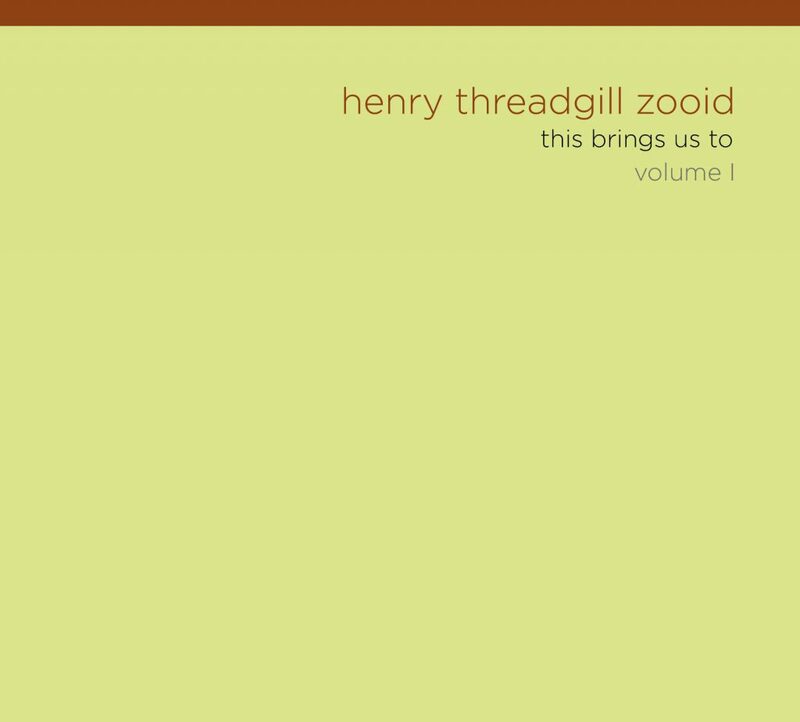 Pi Recordings is excited to announce the release of an important new recording, This Brings Us To, from Henry Threadgill with his band Zooid. Threadgill is one of the most highly respected composers / conceptualists in music today: He was the recipient of a Guggenheim Fellowship in 2003 and a United States Artist Fellowship in 2008. An early member of the influential Association for the Advancement of Creative Musicians (AACM), Threadgill continues to hold fast to that august organizations tenets: keeping an open mind to all creative possibilities and continuing to seek new challenges. He has intensively studied the music of everyone from Igor Stravinsky, Edgard Varse, Luciano Berio to Mario Bauz, along with the music of Bali, India, the West Indies and Japan and filters all of these and other influences through jazz, R&B and the blues to come up with compositions that are distinctly his own. This Brings Us To is the first release from Threadgill since 2001’s Everybodys Mouths a Book (Pi01) and Up Popped the Two Lips (Pi02). He has spent those eight years, the longest time between releases in his career, creating and perfecting a new system of improvisation in a group setting. A zooid is a cell that is able to move independently of the larger organism to which it belongs, an apt description of the musical language that Threadgill has developed for this band. The compositions are organized along a series of interval blocks comprised of three notes, each of which is assigned to a musician, who is free to move around within these intervals, improvising melodies and creating counterpoint to one another. The system provides the framework for open dialogue within the group while encouraging the musicians to seek new ways to improvise, away from a reliance on chord changes, scales or any of the clichés of certain free jazz. The music is coupled with complex rhythms, another distinctive aspect of all of Threadgill’s music. He was among the first in jazz to use constantly shifting meters, which creates a layered rhythmic effect, while maintaining a steady pulse. Despite its rhythmic intricacy, his music maintains a grooving, funky vibe, even though there is rarely a 1 to be found anywhere. This quality, which was later further elaborated upon by Steve Coleman, Greg Osby, Cassandra Wilson and the M-Base Collective, has had a profound effect on much of the music and the drumming styles that one hears in jazz today. Threadgill has always understood the importance of bringing together musicians who are willing to dedicate themselves to his vision. Each member of Zooid, Threadgill on flute and alto saxophone, Liberty Ellman on acoustic guitar, Jose Davila on trombone and tuba, Stomu Takeishi on acoustic bass guitar, and Elliot Humberto Kavee on drums has worked to gain a thorough mastery of Threadgill’s singular musical language. The core of the band has now been together for almost ten years. The one recent addition, Stomu Takeishi, was a member of Threadgill’s earlier band Make a Move, so he is no stranger to his music. Threadgill and Ellman are the main solo voices on the CD. Threadgill plays with two very distinct styles, depending on the instrument. His playing tends towards the pretty on flute, and a biting, almost R&B attack on alto sax. Ellman shows off his development as a soloist here, spinning imaginative, long, fluid lines. Even though he is playing acoustic guitar, he is somehow able to cut through the fray of a very large group sound. Davila takes a number of inventive, blustery solos on trombone, and also trades rhythm section functions on tuba with Takeishi when one is holding it down, the other offers color commentary and counterpoint. Kavee on drums provides constant subtle shifts in rhythm while always keeping that sense of groove. Most of these musicians have appeared on other Pi releases: Ellman on his own Tactiles (Pi08) and Ophiuchus Butterfly (Pi19), which also features Davila; Kavee on two Fieldwork CDs, Your Life Flashes (Pi05) and Simulated Progress (Pi16) as well as with Rudresh Mahanthappa on Mother Tongue (Pi14); Davila also appears on Steve Lehman’s Travail, Transformation and Flow (Pi30). In the music for Zooid, Threadgill creates structures in his compositions that provide platforms for the musicians to interact in a way that is constantly challenging, one that allows for personal exploration. He programs dynamic moments where each musicians can take the initiative to pull the music in a whole new direction, creating moments of tension and release, push and pull, consonance and dissonance. Threadgill is very proud to have been a consistent band leader throughout his career: from Air to the Sextett, Very Very Circus, Make a Move, and now Zooid. The first Zooid album, Up Popped the Two Lips, recorded in 2001 not long after the formation of the band, was something of a transitional release. It has taken eight years of constant refinement for this music to truly come together, for Threadgill to finally perfect that zooid.